Book News: 'Fifty Shades Of Grey' Author Says Next Book Will Be Tamer : The Two-Way Also: DC Comics kills off Batman's legendary sidekick; Jesse Jackson Jr. is reportedly writing a memoir; and banned performance enhancing drugs in literary competitions. 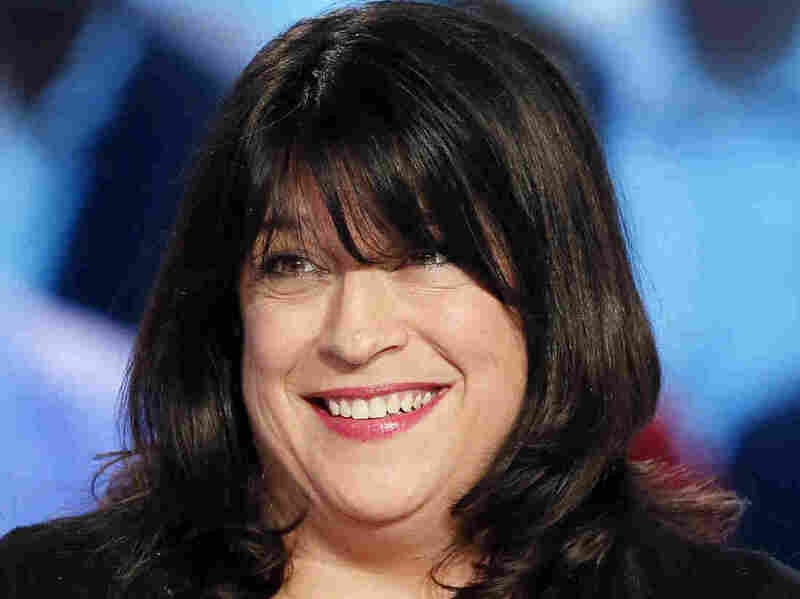 Fifty Shades of Grey author E.L. James on the set of the French TV show Le Grand Journal. Queen of kink E.L. James told the New York Post that her next book "won't be nearly so raunchy" as Fifty Shades of Grey, and that she will "probably write it under another name." Her "inner goddess" is probably tired after all of that merengue-ing. DC Comics killed off Robin, Batman's loyal sidekick, in Wednesday's issue of the spinoff series Batman Incorporated. American Psycho author and master of the offensive tweet Bret Easton Ellis is working on a new novel. He made the announcement in a blog post on Wednesday. Allan Metcalf, a MacMurray College professor and author of several books on language, weighs in on the poetry of headlines: "Newspaper headlines, as I said last week, are prose poetry. Not only do they have distinctive grammar and diction, they also have a tightly constrained form and even more tightly constrained content. Compared with a headline, a sonnet is a piece of cake." Disgraced former Rep. Jesse Jackson Jr. of Illinois is reportedly coming out with a memoir to "clear up his legacy." Last week, Jackson pleaded guilty to misusing campaign funds. He's written books before, including a book of financial advice with his father, aptly-titled It's About the Money. Writer and attorney Curtis Edmonds on "Banned Performance Enhancing Substances in Literary Competitions." Such substances include Orwellbutrin — "Should only be taken after the clocks strike thirteen" — and Oprahdone — "In rare cases, can lead to career implosion if mixed with extensive fabulism." Long-term use of Capotex, "can lead to literary irrelevance." Colin Burrow of All Souls College, Oxford, asks, "How is it possible to like Milton?" in a great London Review of Books essay about the author of Paradise Lost.